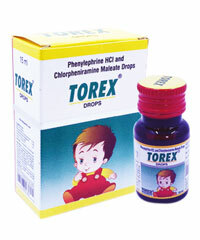 Diphenhyramine is an antihistamine that relieves congestion. 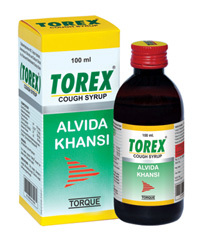 Ammonium Chloride is an expectorant which thins the mucus. 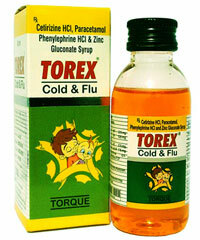 Phenylephrine is a selective α1-adrenergic receptor agonist used primarily as a decongestant, Chlorpheniramine Maleate is an antihistamine. 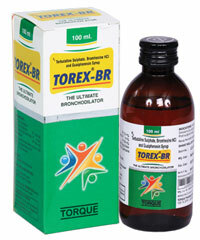 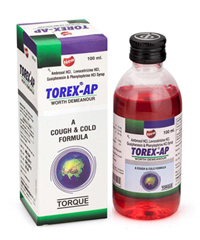 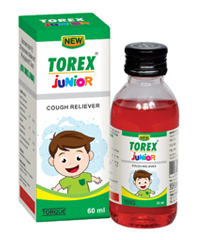 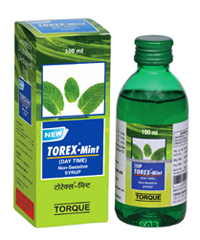 Torex-SF Cough Syrup eases the uncomfortable symptoms like hacking cough or scratchy throat that comes from sinus drainage during common cold. 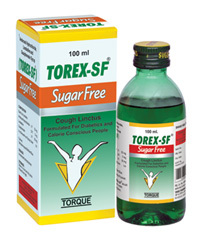 As it is free from sugar, it reduces calories intake and helps you to attain and maintain a healthy body weight, and thereby lessens/reduces the risk of heart disease and diabetes.